Explanation: Orbiting over the north pole of planet Earth on May 5, the MODIS instrument on-board the Terra spacecraft, recorded this view of the ice cap 700 kilometers below. A radial grid centered on the pole is shown on top of the approximately true color image where each pixel covers about one square kilometer. Frozen sea ice appears whitish while open water or newly refrozen ice looks black. 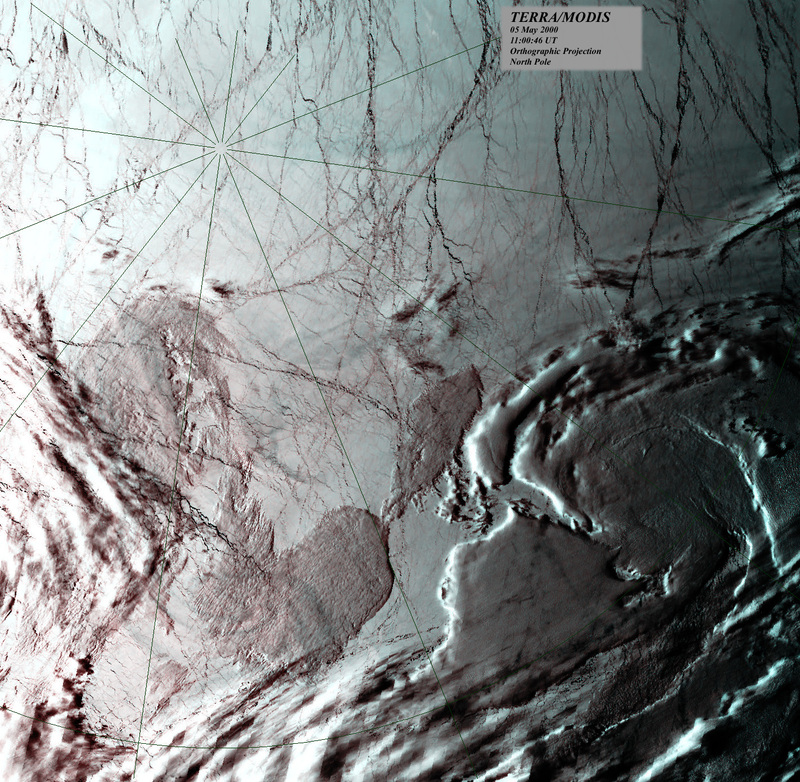 An impressive criss-crossing network of cracks in ice shifting above a liquid water ocean is visible, traced by the meandering dark lines. 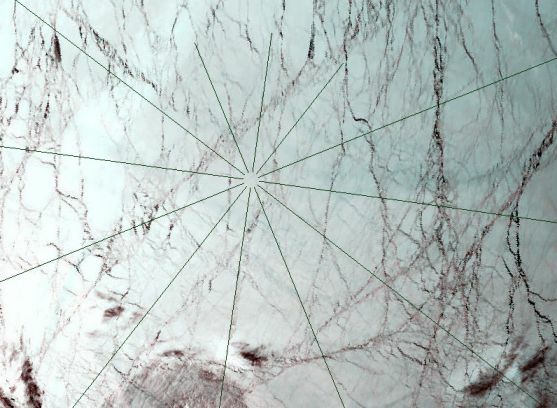 In fact, the dark network of cracks in the sea ice is reminiscent of another world in our solar system which may also harbor a liquid water ocean -- Jupiter's ice moon Europa.